It’s good to be a competitive shooter, like Dani Bryan-Nickens for Team CZ Forum. It’s even better to also pass on the skills and the mindset to the next generation. That Volquartsen Scorpion is worth a lot more in competent hands…even if those hands are only eight years old. 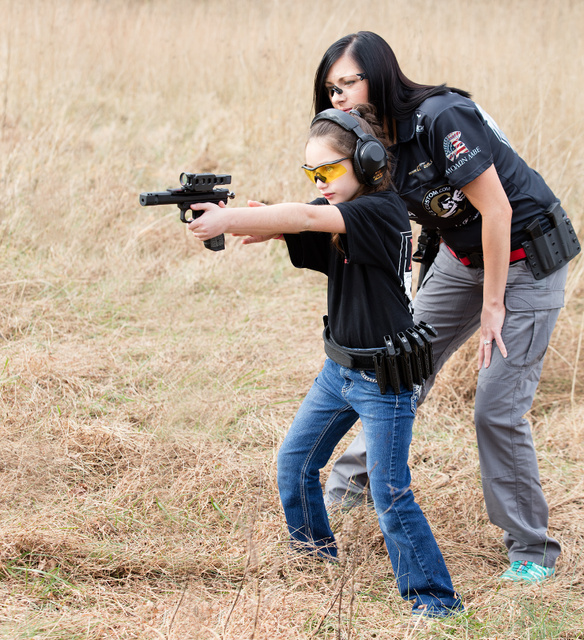 This entry was posted in pistol, training, weapon and tagged 22LR, 9x19, competition, girl, kids. Bookmark the permalink. 1 Response to Pass it on! She’s a great person , my daughter really looks up to her and wants to be a competitive shooter as well !! She’s now nine years old ! !